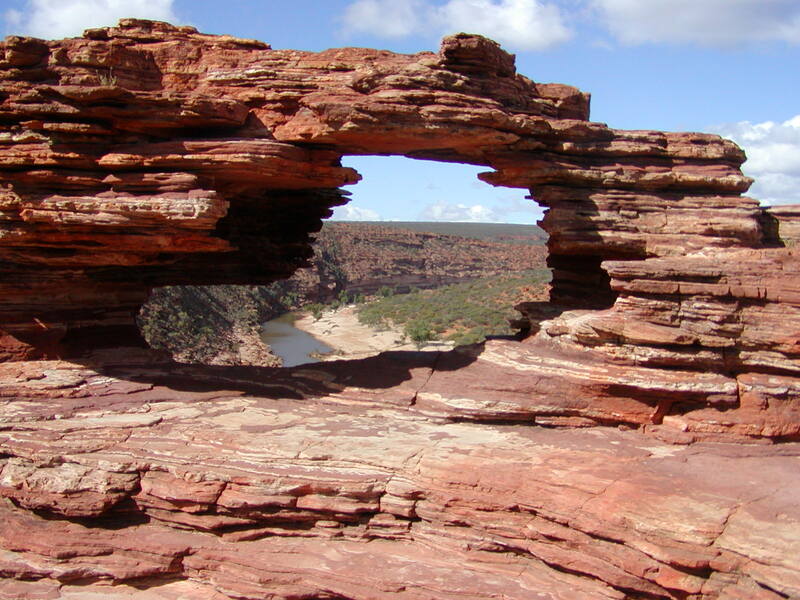 Another very interesting day in Kalbarri National Park, this time visiting Nature’s Window. The drive in to each gorge is approx. 30kms, but well worth the time on the sandy, corrugated road. Natures Window, (2nd photo), as you can see is spectacular, although Russ was the one to brave the narrow rock edge needed to traverse, in order to take the photo. When we arrived we were confronted by dozens of cars and a couple of buses – it’s school holidays now and there are people everywhere. 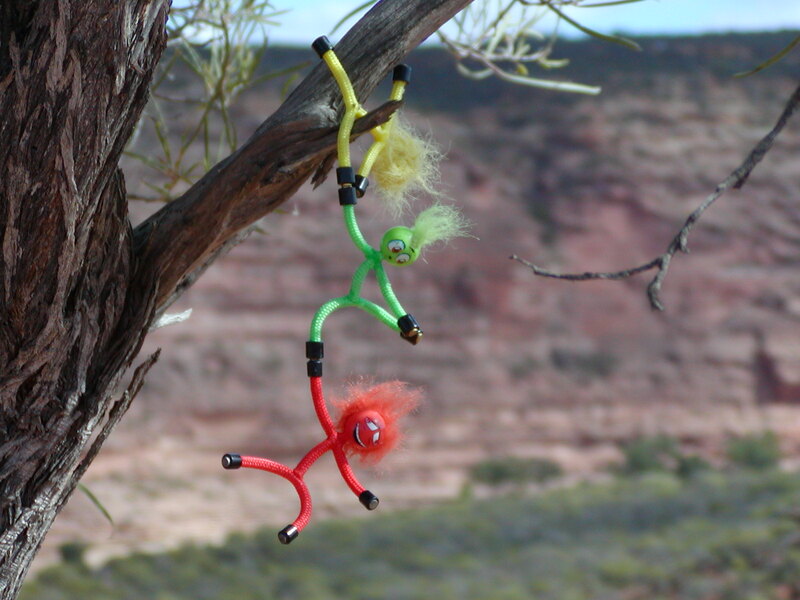 Nevertheless, once on the track to the gorge, you feel as though you are the only people there. The place is so vast and there are views in every direction. 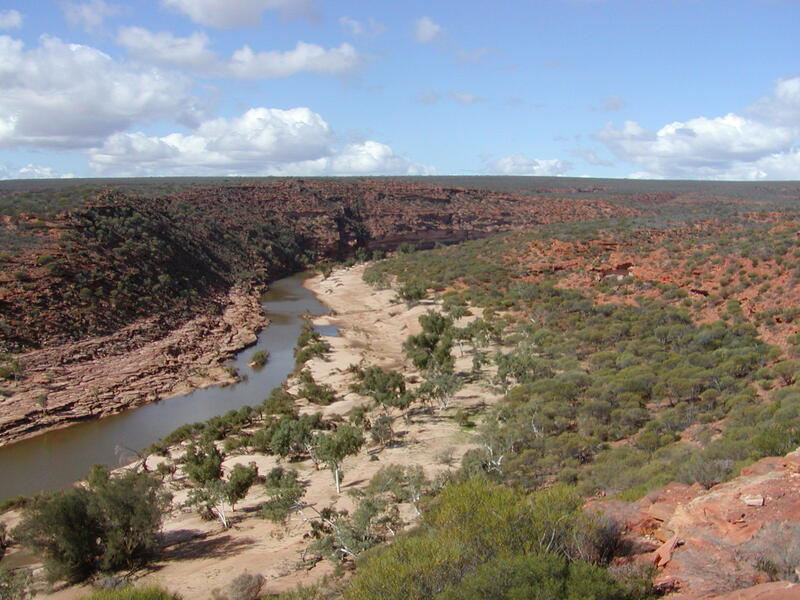 The way the Murchison River meanders its way through the gorge at Nature’s Window is like the shape of an omega, or like a top hat, squashed together at the brim! The river comes in from the east, through a sweeping bend, heading north, around in a big loop, returning to almost where it started, then heading off to the west! 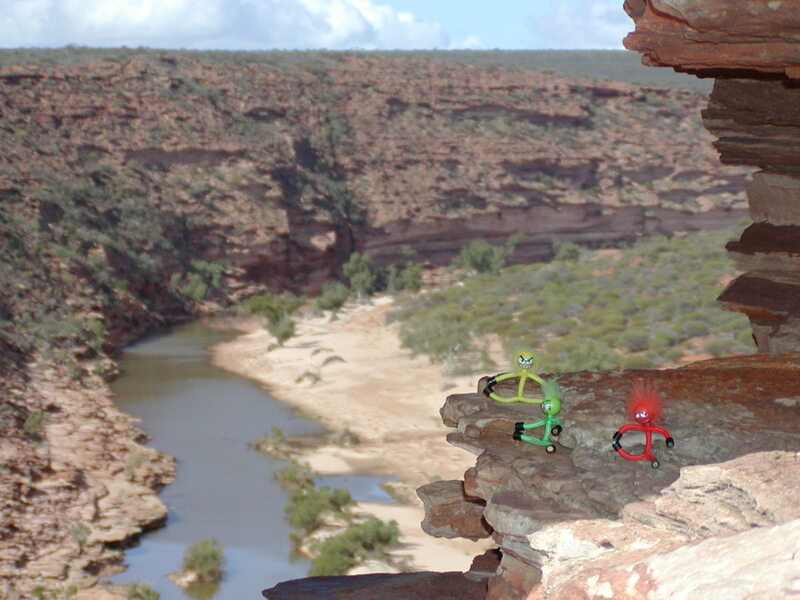 The MM enjoyed a bit of rock climbing, but didn’t like getting too close to the edge! The National Parks have been extremely well set up, with large wooden structures and railings for those who don’t want to do the walk and the tracks are well defined. There is even wheel chair access at Hawks Head. 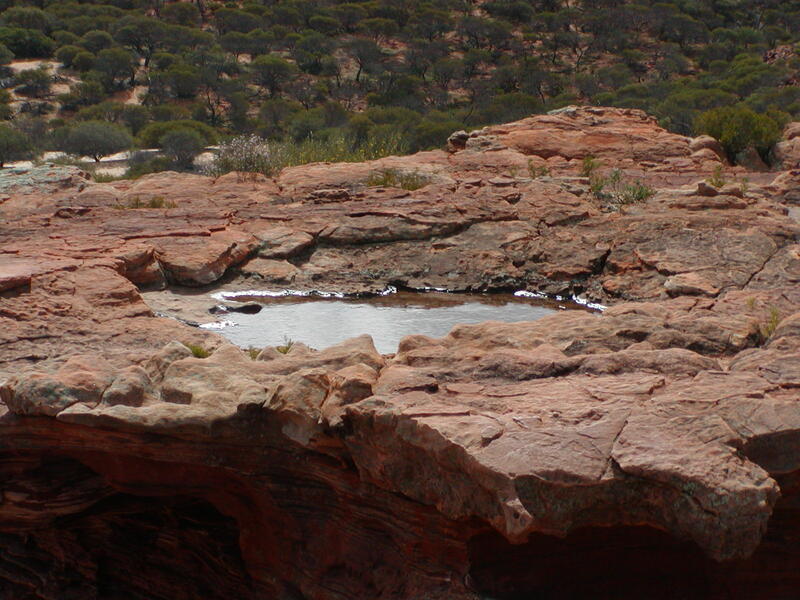 Russ liked the look of this huge rock pool. I’ve found the walks back (up hill), quite hard, as my asthma plays up a bit, but once back at the top, feel quite exhilarated from making the effort and being able to see the incredible views. We always take lunch with us and each time we have been able to have a table in the shade, with a view. 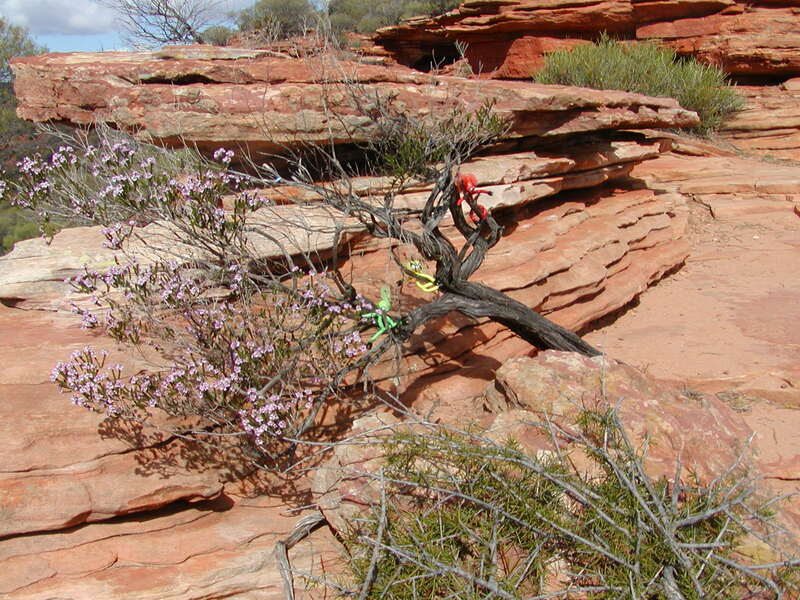 Back from the rock edge, the MM pretended to gallop on this stunted bush. 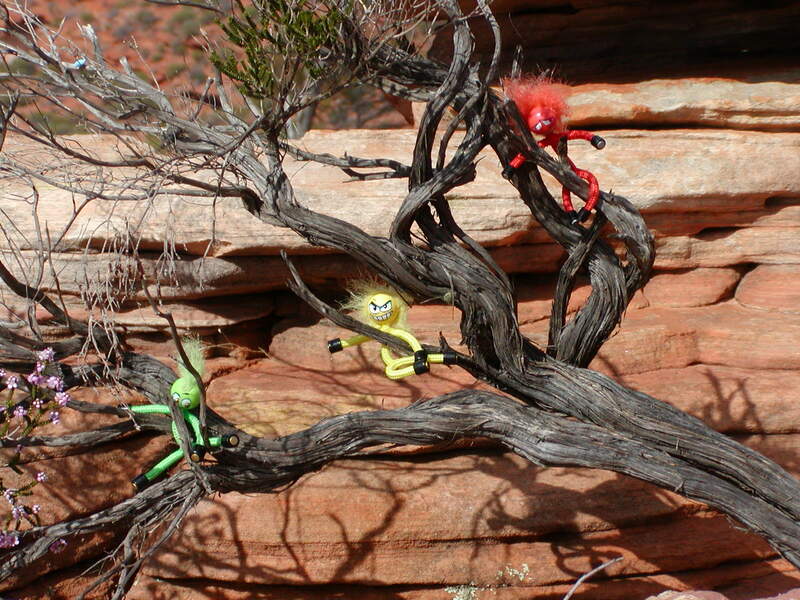 They had a lucky escape after skylarking on this tree, and nearly fell down the massive gorge. There is an entrance fee to the park, each time you enter, but we bought a pass for $50, which allows entry into any National Park in W.A. – definitely the way to go, as we’ve visited this park four times. Rhys hopes that you are having a good time, and have a great month! Heath says that he has a bit of a cold and a cough, but is having fun on the school holidays. He also hopes that you are having a good time! The photos are looking amazing!